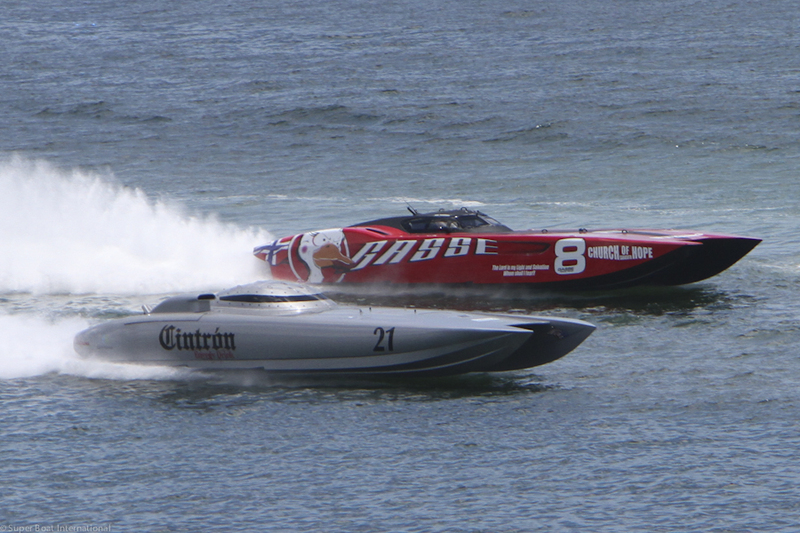 This year’s event was a milestone for the City of Sarasota and Super Boat International (SBI). 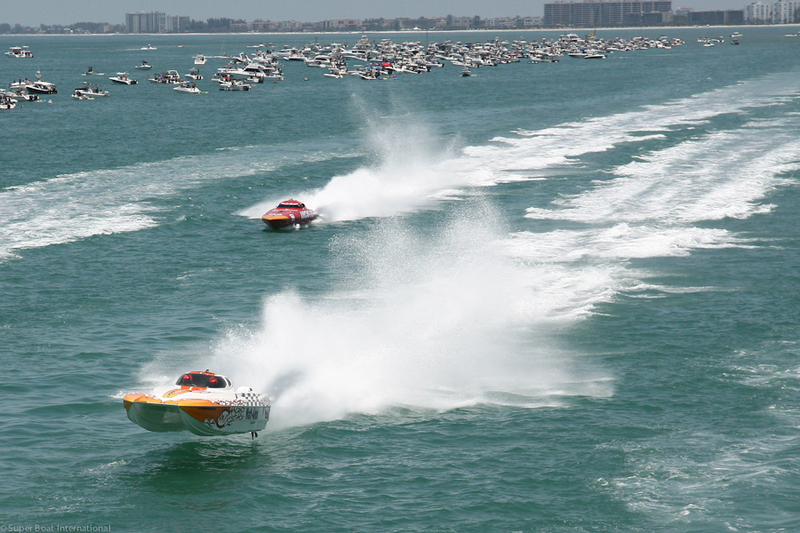 In its 30th year, Super Boat still wows the crowd with one of the biggest holiday parades in the State of Florida and the Sunday finale of the world’s fastest offshore race boats. 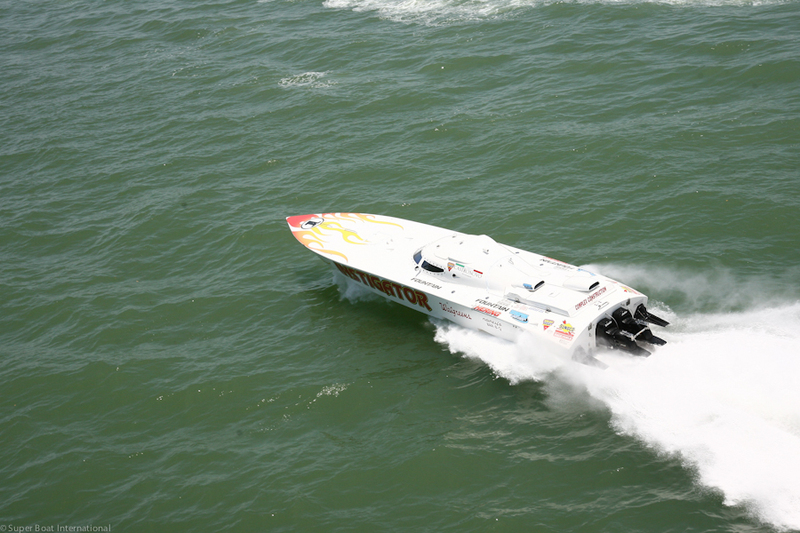 Suncoast Children’s Charities continues to raise record amounts and SBI delivers one of the largest professional boat races in the United States. 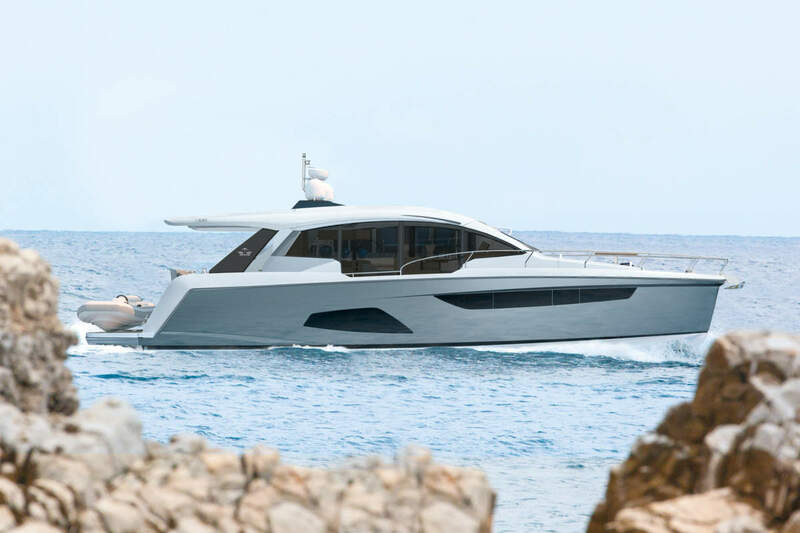 The Spirit of Qatar was committed to doing the same, knowing their engine package would not be ready for race day. 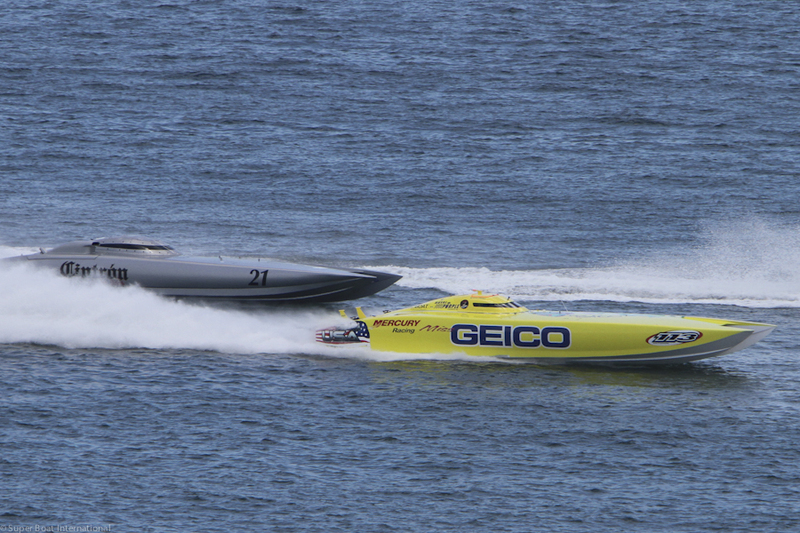 It’s teams like those and the competing teams that showcase the true professionalism of Superboat racers. Team Cleveland Construction experienced an unfortunate accident with a rollover in turn one early in the race. 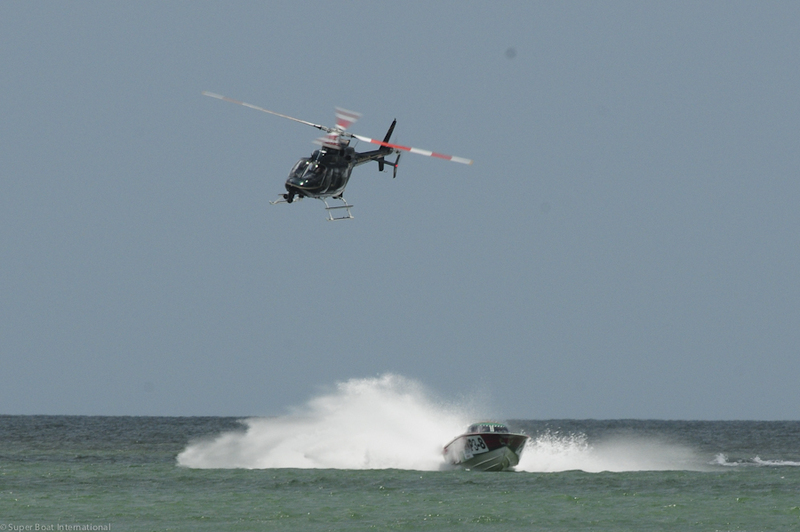 The quick response of the Super Boat rescue team assisted the racers on-scene and, fortunately, both driver and throttleman were uninjured. Each class of racing saw some very competitive action on the course. 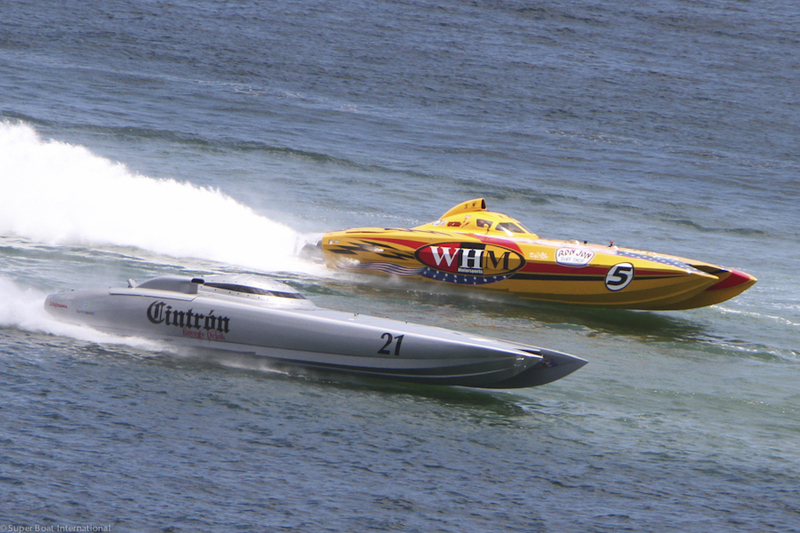 The Superboat class with 7 entries is always a very close battle with Team Broadco and WHM Motorsports on the heels of Team STIHL all race long. 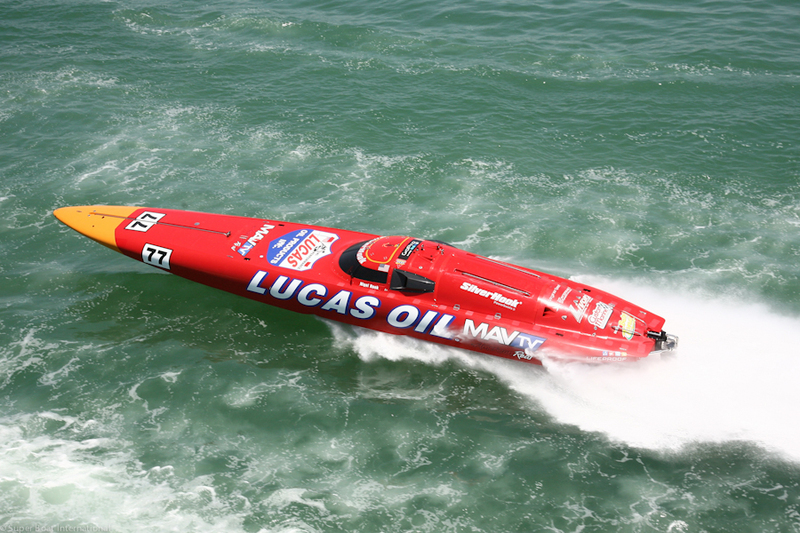 The Superboat Stock class, another class with 7 entries that always keeps the fans on their feet, has seen The Hulk rise to the top with two wins after three races.